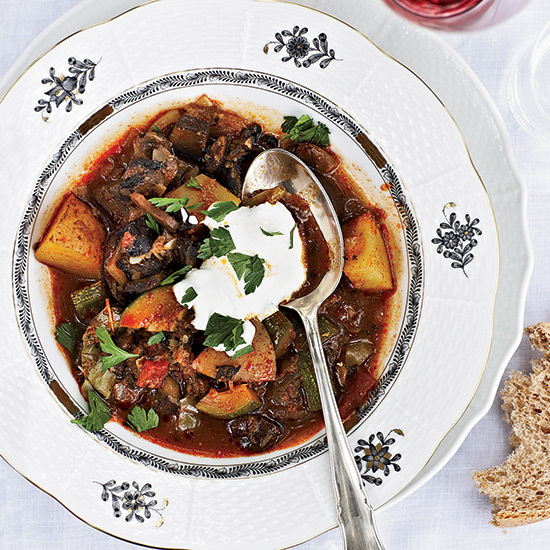 Goulash, the warming eastern European stew, is a deliciously cozy winter meal. From juicy short rib to a vegetarian version, here are five excellent goulash recipes to make on chilly nights. 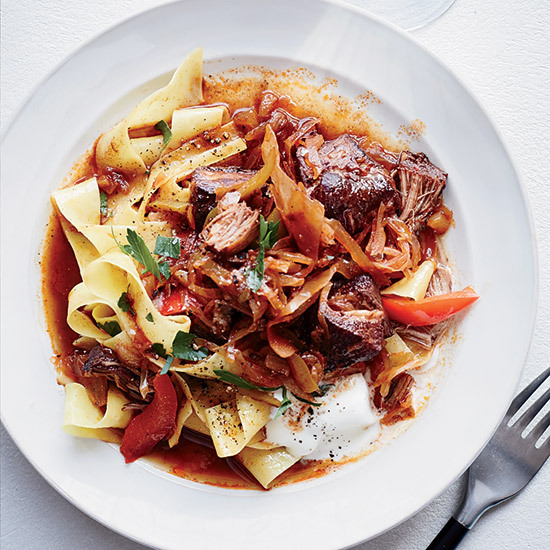 Chef Wolfgang Ban makes his goulash with succulent veal cheeks; here he adapts the recipe for easier-to-find veal shoulder. What's more comforting than a creamy chicken stew baked with biscuits? 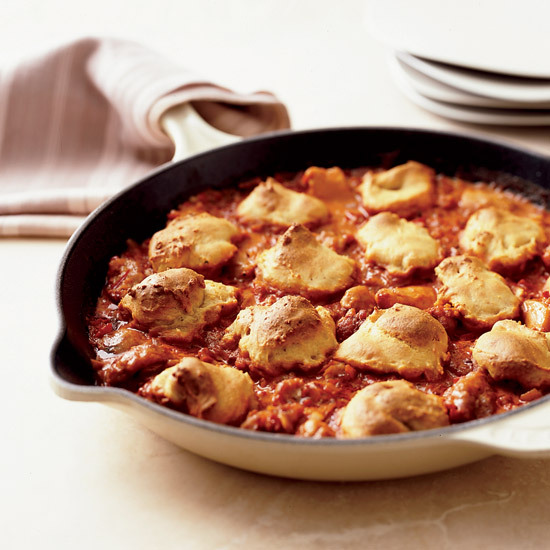 This tasty vegetarian goulash features Hungarian wax peppers and lots of paprika. 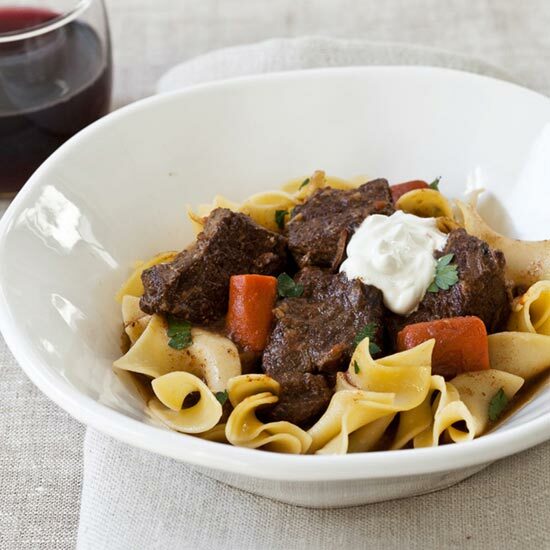 Serve this saucy short rib stew over buttery noodles. 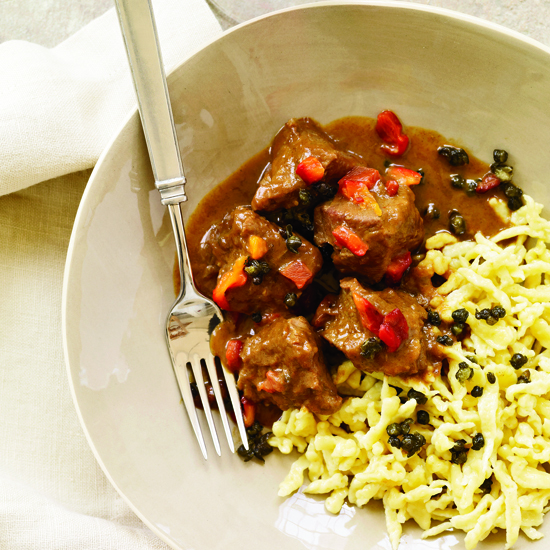 Overnight marinating and slow cooking give this goulash deeply savory, complex flavors.